The application delivery controller (ADC) market is undergoing rapid and significant changes as cloud computing, containers and other technology initiatives are having a profound impact on enterprise infrastructure. There is no sign of this evolution slowing down either as a recent Application Delivery Controller Study by ZK Research confirmed that half of users are looking at alternative solutions. 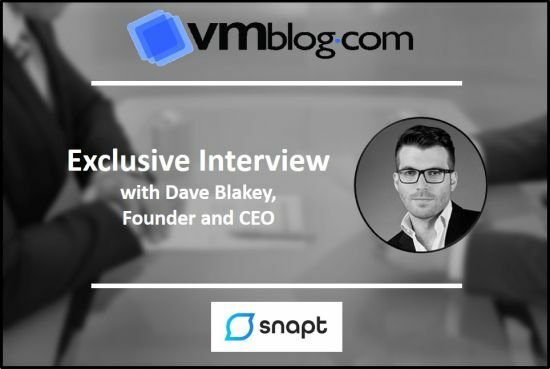 To get a new perspective and hear more about Snapt, I caught up with Dave Blakey, founder and CEO. VMblog: Give me a little background on Snapt and the Snapt Partner Program. Dave Blakey: Of course. Snapt develops high-end solutions for application delivery, and provides load balancing, web acceleration, caching and security for critical services. Our products and services are designed to improve and protect a clients' virtual infrastructure - we work with companies around the world to ensure their websites and services are always fast, online and secure. With the modern ADC market demanding more sophisticated solutions that can solve a broader range of enterprise requirements, and our solution being software-only, we are seeing significant interest from enterprises and potential partners. We decided to take advantage and increase our channel program offerings as many of the ADC solutions in the market, such as F5 and Citrix, have strong channels and the combination of a channel partner carrying both solutions could offer a strong feature-set that meets all customer needs. VMblog: Tell me more about how Snapt differentiate itself from the competition. Blakey: There are a lot of differentiators, but, to list a few, we are oftentimes the most cost-effective solution, providing our customers with more features and better customer service for much less than the competition. We also provide 24/7 support whereas this might be a cost when using another vendor or there might not be this kind of support at all. We also tend to be the only ADC solution that is truly container-ready. From a performance standpoint, we offer our customers 100,000 HTTP requests per second on a mid-range VM, while our competition struggles to deliver performance on low spec devices and instances. What can I say - we've really focused our product design and development to meet the needs of our customers today, but also to try and anticipate cloud, virtual machine and container usage, and anything else that comes up in this software-everything world. VMblog: What's changed about the market since Snapt was founded, and are you seeing different trends in different regions? Blakey: The client is the biggest change - it used to be a network engineer that was a specialist in a product like F5. Now, it's a DevOps-like architect or engineer that is responsible for the performance and scale of the entire system. This change means they have entirely different skillsets and require an entirely different solution to provide them with application delivery. They don't just need load balancing, they want to be told on a Slack channel that an app server is running 500 milliseconds slower than the rest. VMblog: What's new in the partner program? Blakey: Our levels and programs for partners are a result of customers finding Snapt and turning to channel partners to carry our ADC solutions. Since Snapt Partner is designed to grow businesses that are looking for cloud-based products to succeed and thrive in this market, we wanted to provide enhancements to our partners that would allow them to take advantage of higher returns on our growing channel program, and increase their effectiveness in selling Snapt ADC solutions. We also have incorporated opportunities for partner co-marketing, deal registration and assistance on closing deals based on tier level, lead gen assistance/offload, full stack sales, marketing and operational support, and a 100% annual renewal. As we grow into markets in North America, the UK and Benelux and other areas, Snapt Partner is a way for us to clearly define our offering and introduce new opportunities for worldwide resellers as we grow and expand. VMblog: What's up next for Snapt? And what should VMblog readers anticipate moving forward? Blakey: We are heavily focused on the real world needs of users deploying containerized, micro-services or distributed networks. From ingress controllers to high performance in containers, and APIs to modern auto-scaling services, we are providing the tools clients need today and tomorrow.